I quilted two quilts over the long weekend, and now I have to bind them! Sweet. 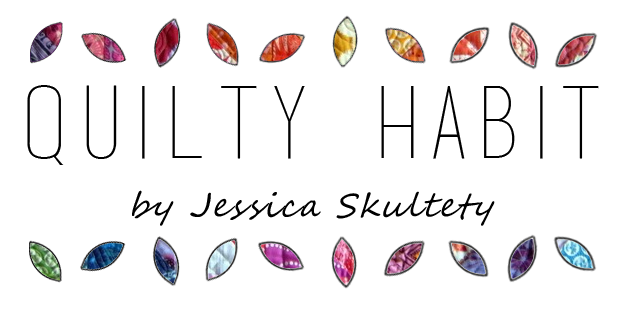 I'm excited to finish two huge projects! One part of binding I DO enjoy is choosing the fabrics. I've played with snippets of rainbow in my binding (above - my Home quilt) and I love a good scrappy binding. I've generally matched binding to sections of a quilt but not as amazingly as Debbie (have you seen her latest beauty?). Other WIPs: I'm also sewing a lot for my Secret Sewist partner for the Mid-Atlantic Mod retreat (2 weeks away!!). Each person who signed up (there's 37 of us!!) received a secret partner who we have to make one gift for for each of the three mornings we are at the retreat. On the last day, we reveal who we are. I CANNOT wait to share with my partner what I have planned for him or her. I. can't. wait. To sum up: I've been sewing a lot more, but I literally can't show a thing until all is revealed at the retreat. 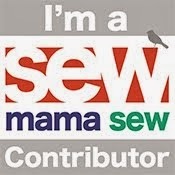 On another note, April, May, and June are VERY busy sewing months this year for me - it's going to be amazing! 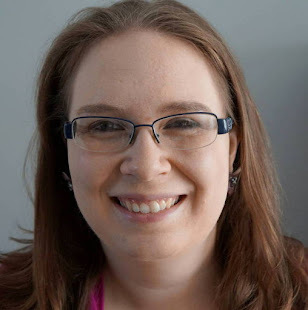 Besides guild duties (newsletter writing, meeting planning, and setting up some great events to come), I'm speaking at two guilds! 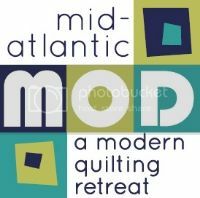 I'm currently perfecting lectures for the CAMACO guild in Cape May, NJ (on Modern Quilting) and LIMOD in Long Island, NY (on Improvisational Piecing). 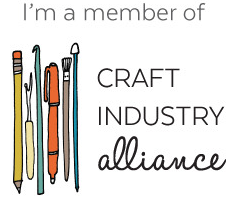 :) I'm also prepping for my shortened Orange Peels and Improv class at Mod, and tweaking my full class to teach at Pennington Quilt Works again in July. I'm hoping to set up a couple more classes and lectures this summer, too! 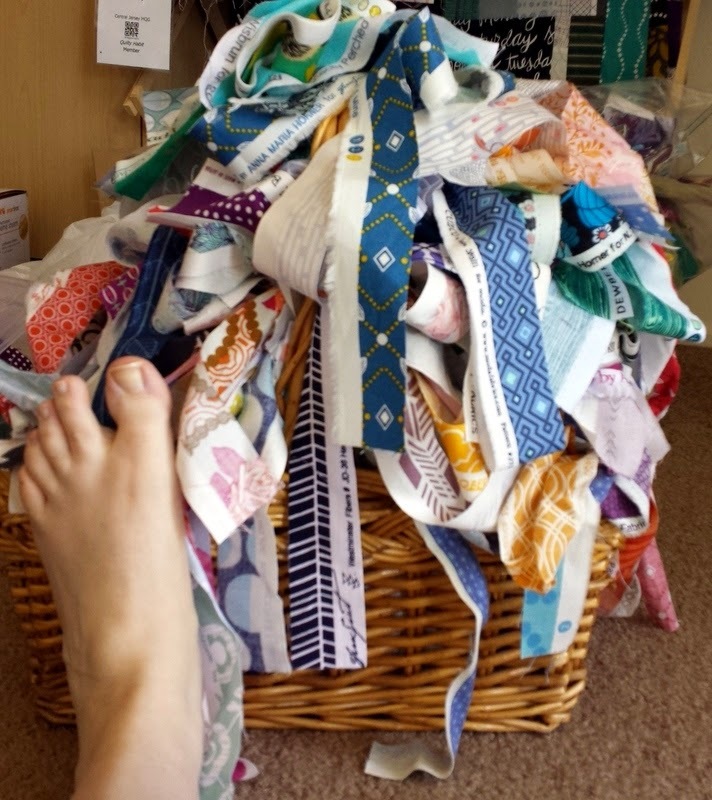 My size ten foot compared to my selvage basket... it's time to dive in. So, back to binding. Tell me... do you love to bind? Are you neutral? Hate it with the passion of a thousand burning suns? Do you prefer by machine or by hand? Inquiring minds want to know. Hah binding is my favorite part of quilting :). It means I am done making it! 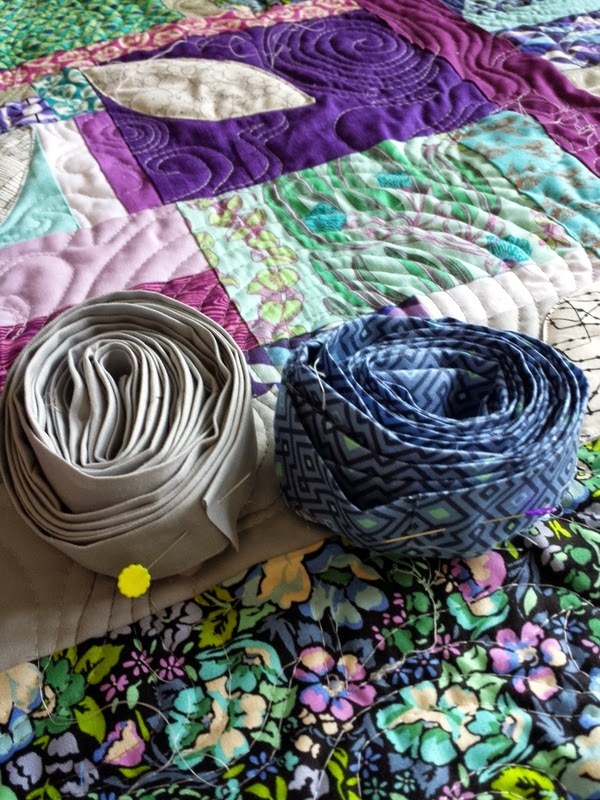 Mostly I enjoy the binding part (unless I have to do it in a hurry) I like the slow stitching part of it and when it is cold it is nice to be able to snuggle under the quilt as I bind it. I like the look of scrappy bindings as well, although so far I have only made one quilt with a scrappy binding. I love to bind (by hand) because it gives me the perfect excuse to put a movie on and relax watching it guilt free! I like machine binding because it is so fast. It's fun to occasionally use a fancy 12wt thread to really show off the top stitching, or a decorative stitch to hold it down. I only hand stitch it down when I want it to look smoother, or for quilts I intend to show, or when there some issue and hand sewing the binding on the back is the solution. I agree with Yvonne about customer quilts where time + money, and they always are machine finished! Binding is the thing that I always drag my heels on, ugghhh. But when I finally just do it it usually goes quickly and then the quilt is DONE. I finished two quilts this week...hoping for a third (two were minis, ha). HATE binding!!! Arthritis in my wrists and thumbs really makes it super painful. Even putting on the clips to bind by machine hurts, but not as badly as hand sewing the binding down. I will only bind by hand for a show quilt that that take forever because I can only work on it for a max of 30 minutes a day. It does look so pretty when I am finished though with 5-6 stitches an inch hiding there, but not worth the pain. 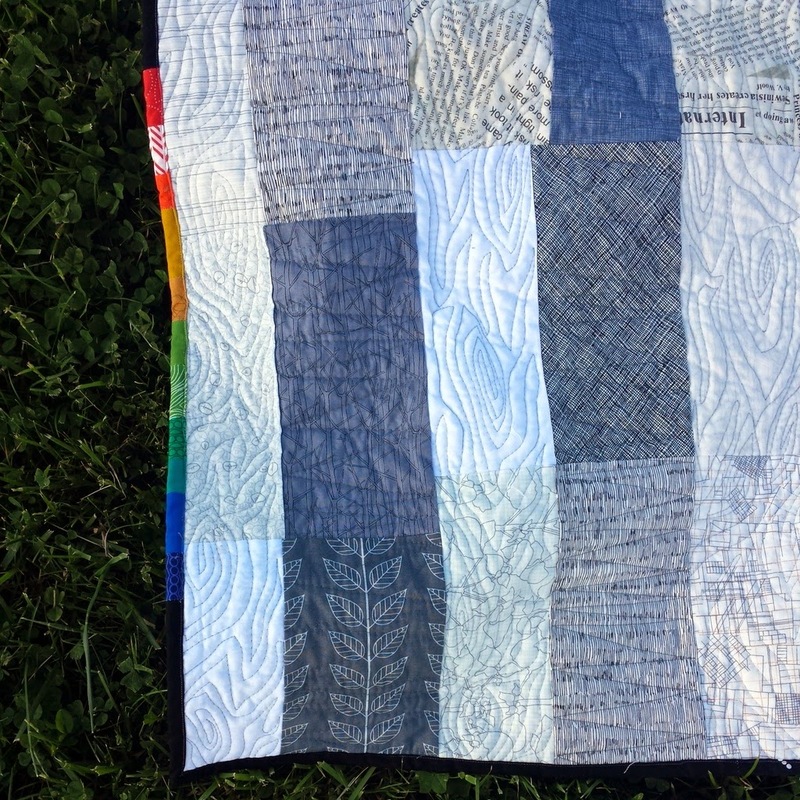 Let me quilt all day with my longarm and I'm happy! Jess, there's a chance you hate bonding so much because you are matching the binding to the fabric. Not fun! I'm a hand binder and love it....and that is a lot of selvage. Love it! I do my binding by hand, and it's one of my favorite parts of the process. I find it relaxing, and easier than doing it on the machine (for me anyway). I look forward to seeing your finished quilts! HATE binding!! I haven't done binding by hand in over two years, and although I like it better by machine, it still feels tedious.